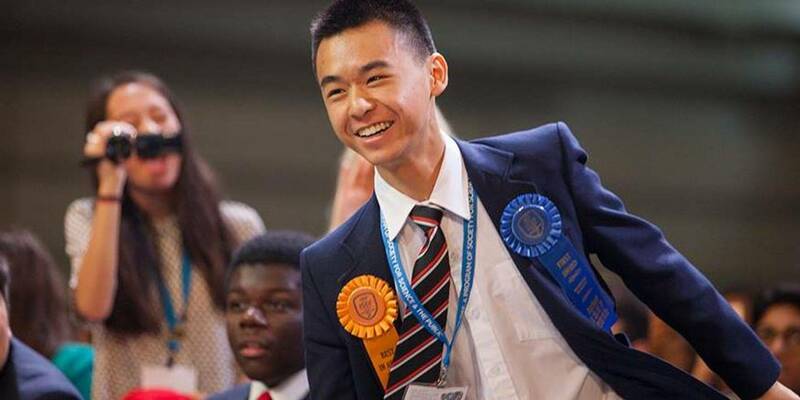 Raymond Wang wins the top Gordon E. Moore Award at Intel ISEF 2015, the world's largest high school science & engineering competition. Thank you very much for your interest and your help in featuring the work of Raymond Wang! We have a variety of production resources, including photos and HD B-Roll footage, available to help support your news story. Click on the desired link at the bottom of the page to be taken to the appropriate downloads page. Recipient of $75,000 Gordon E. Moore Award at the Intel International Science and Engineering Fair.